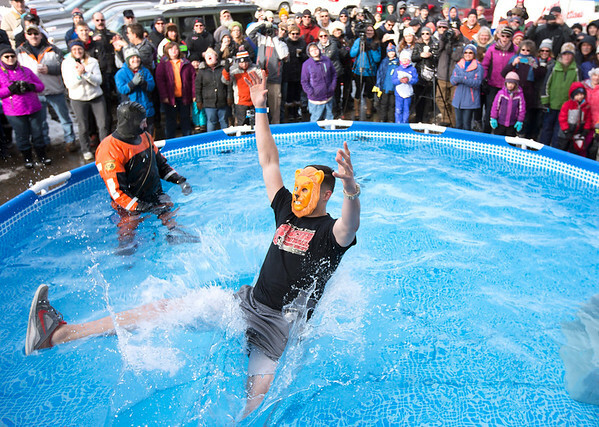 Nolan Davenport jumps backwards into the water at the 2017 Polar Plunge outside North Peak Brewery in Traverse City, Michigan on Saturday, February 4, 2017. "Its the best thing I've ever done in my life," Davenport said. "And its for a great cause."